Take Stencil Edits Down – From Hours To Minutes! Gen Stencil™ Software helps Stencil and EMS Contract Manufacturers dramatically accelerate data preparation to ensure solder paste stencil repeatability that results in faster delivery times, increased yields, and ultimately increased profit margin. Time spent educating, expediting and reworking. Infinite Graphics is a Precision Imaging Services bureau and have dealt with these same issues for many years. To accelerate the stencil generation process and improve your revenues and reduce costs, we created Gen Stencil to realize up to an 80% time reduction in stencil generation data preparation time. You can now create SMT stencil and documentation layers from solder paste data, moving quickly from import, through editing, to export. Gen Stencil software will increase quality and decrease time and costs in Solder Paste Stencil design, and SMT Stencil design. Why is Gen Stencil the Right Solution for Your Company? Gen Stencil software utilizes an advanced Library-based architecture that continues to reduce stencil data processing time the more it is used. 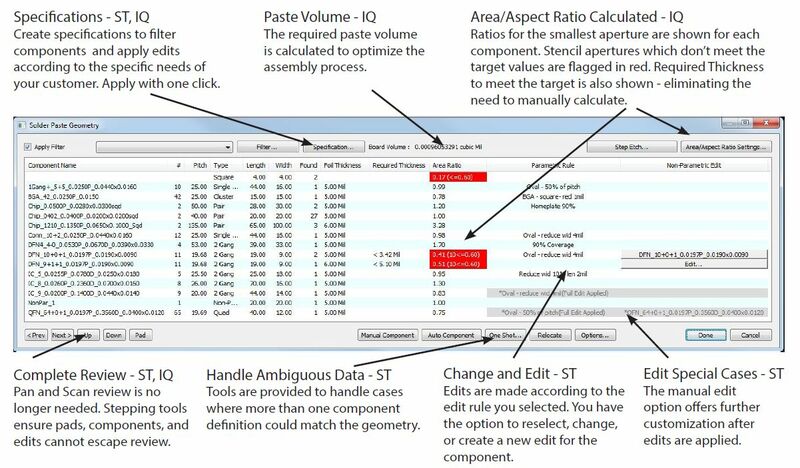 IGI’s unique and logical application of edit rules give you quick, consistent and diverse editing capabilities. Custom libraries of edit rules are created and stored for instant recall and guarantees consistency on subsequent jobs. CAM operators’ time is now spent on the next job rather than identifying and editing individual components. Drag and drop input. A wide variety of inputs are supported, including RS-274X, RS-274D, DXF, DWG, GDSII, ODB++, and DPF. Identify a component once, and its footprint is recognized in future jobs, at any rotation, increasing efficiency as you work. Simple pad geometry becomes associated when identified as a component, offering a way to apply consistent, global edits. Apply compensation edits based on your customer rules and requirements. Our full range of edits helps you get it perfect the first time. Apply a whole set of Specifications, pairing filtered geometry with specific edits. Save time and provide your customer with consistent edits. Let us show you a quick video of edits in real time with Gen Stencil. Or, watch an overview of the Gen Stencil process. 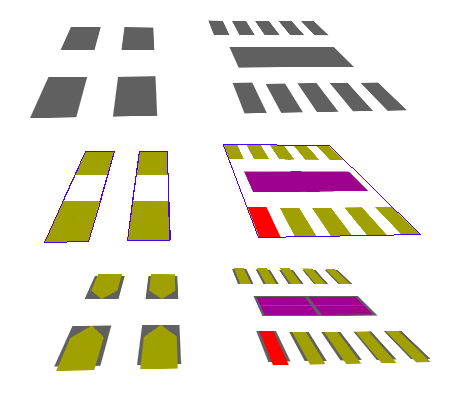 Export to a variety of standard formats such as DXF, DWG, RS-274X, GDSII, and ODB++ (flattened). Export device-ready RS-274X data for laser cutting systems like LPKF or Tannlin. 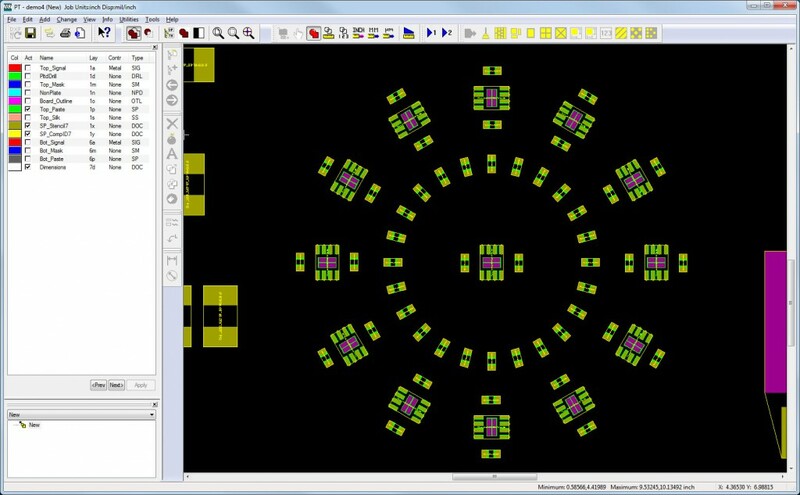 Automation tools are available for scripting layouts and other data preparation for lasers. Identify a footprint once, by selecting its geometry. It will automatically be recognized in future jobs. This set of components, increases efficiency and productivity as it grows. Components are labeled graphically and linked interactively with the Solder Paste Geometry list. Many edits can be applied to all geometry in the footprint, even when pad differences are present. Apply several Edits with a single click. Calculate Area/Aspect ratios and Board Volume as you edit. Add quick editing flexibility and control to your toolbox with Gen Stencil, your SMT stencil software solution from Infinite Graphics. Let us show you how to increase your productivity and repeatability with Gen Stencil. IGI also offers PT Viewer as a free download for exploring and evaluating the capabilities of IGI’s base software.